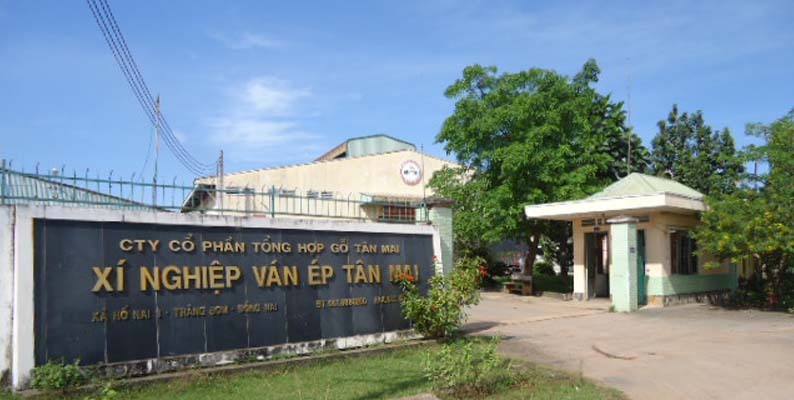 Tan Mai General Wood Processing Company, a state-owned enterprise which specialized in wood manufacturing, was established in 1975 and from March 2006 has been equitized, changed the name into Tan Mai General Wood Joint-Stock Company and enlarged its activities. Business activities : Garment for export, wood manufacturing, fuel retailer, infrastructure construction, warehouse leasing. Head office : 84 Nguyen Van Hoa street, Thong Nhat Ward, Bien Hoa City, Dong Nai Province.